The Teachers Ladies defeated the Mariners Ladies 3 – 0. 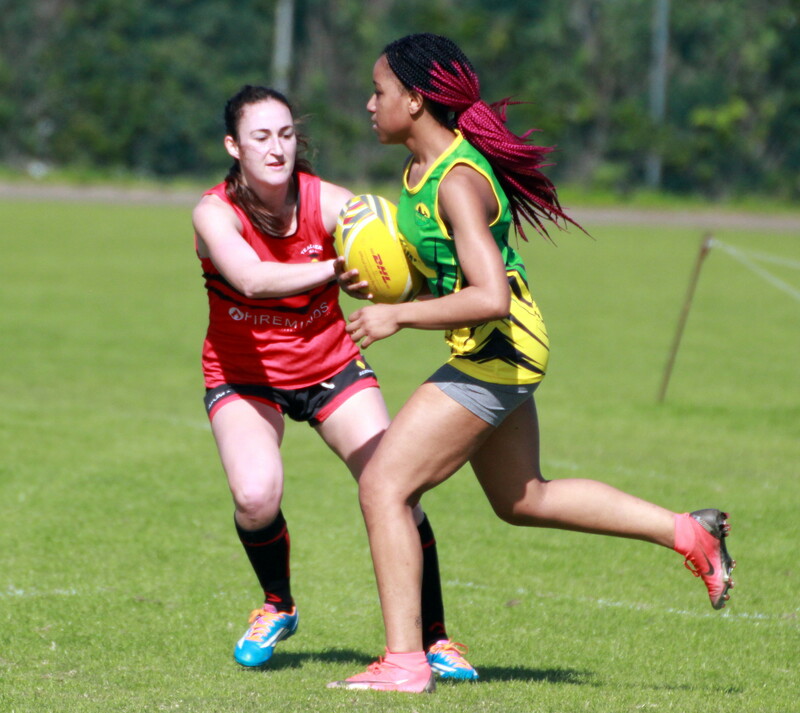 The Teachers Ladies got 2 Try’s from Najee Pitt-Clarke, while Christiana Halliday added the other. The Teachers defeated the Mariners 50 – 24, Teachers would get 2 Try’s from Chiquon Smith, while Chi Smith, Jakee Simons, Dre Williams, Patrick Richardson, Dashon DeSilva and Steve Wallace all added a Try each, with George Peets kicking 4 Conversions. Connor McGlynn, Chakote Wainwright, Nigel Burgess & Brian Archibald all scored a try each, while Archibald kicked 2 Conversions.